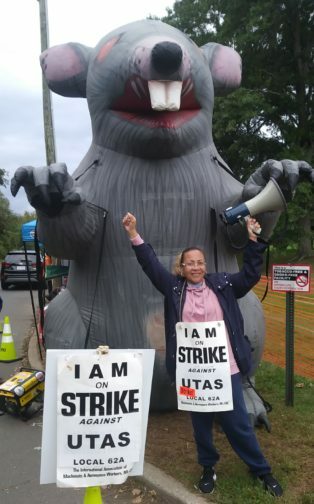 CHESHIRE, Conn. — In their second week on the picket line, 188 members of the Machinists union (IAM), mostly women, are out on strike at UTC Cheshire Aerospace demanding affordable health care and decent wages. Support for the workers from sister unions and elected officials grows daily for what may be a long battle. The company, whose profit was $2.4 billion last year, is in the final stages of a $30 billion merger with Iowa-based avionics manufacturer, Rockwell Collins. In addition, the company got a big windfall from the Trump corporate tax cuts. Instead of passing any of that along, the company refuses to budge from a contract negotiation offer that would leave workers with less than they have now. 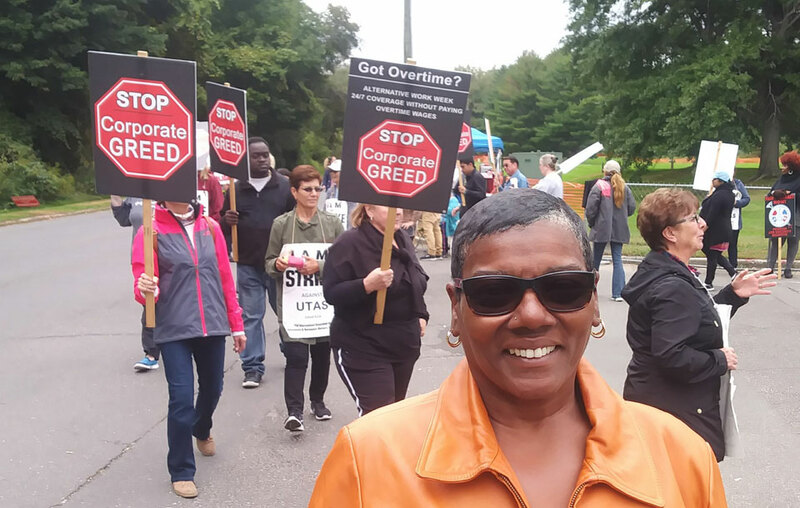 Wearing signs saying “Stop Corporate Greed,” the workers are maintaining a 24-hour-a-day, seven-day-a-week picketline. “The membership voted to go on strike because they felt it is time for the company to treat us fairly. 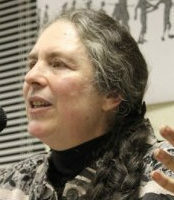 There is a 70 percent women’s population here and we make $20 less than others in different plants that solder the same way we do here,” said IAM Local Lodge 62 A president, Mary White. The workers produce brakes, landing gear and data management services. 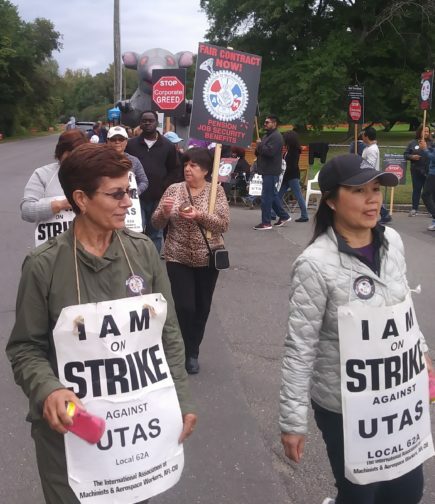 The workers have the full support of their sister locals at UTC Pratt & Whitney and Hamilton Sunstrand divisions, as well as their district and national union. Strike fund contributions can be sent to Local Lodge 62 A (“strike fund” in memo), PO Box 87, Marion, CT 06451. 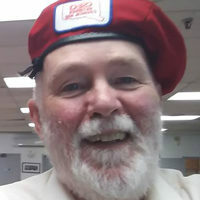 Tom Connolly is a retiree labor and social justice activist writing from Connecticut.